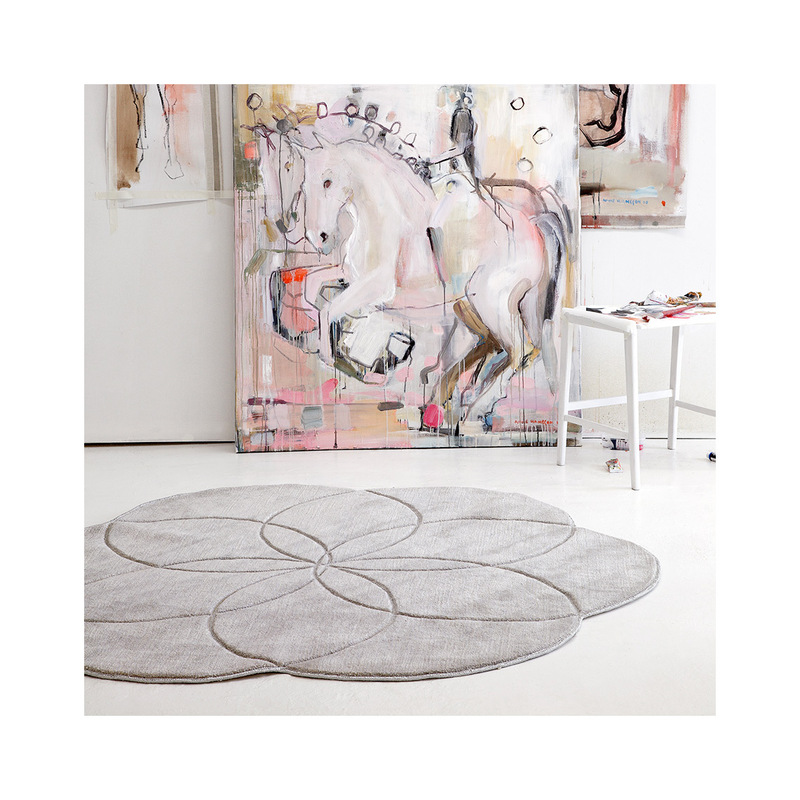 The rug is hand tufted in wool with bamboo silk mixed in. It has tufted and cut lines. 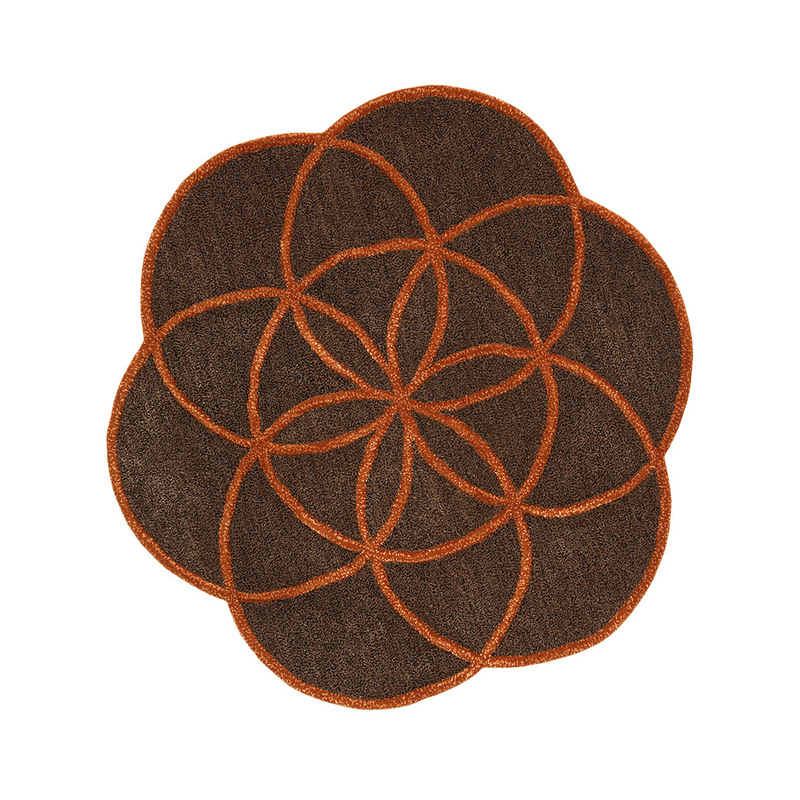 The pattern that is also called the “creation mandala” consist of seven overlapping circles which forms the petals. It is a symbol which in a simplified way explains how life becomes: a creation in the void of an expanding, vibrating pattern.